You might be thinking, Klout, that’s not a social media site. What Klout is, is a site that measures your social media influence so I think it’s important to just keep an eye on it and if you can get your Klout score to be influential or to be substantial, you can use that to measure your social media influence when you’re looking to do things like get hired to speak, to get hired really for anything. It shows how much influence you have across the internet. You can log in with Twitter and I love doing that because it makes it really easy. I don’t have to remember another password so my Twitter account is associated with my Klout account. What you’re going to see is all the networks that I’ve got connected to my Klout account. When you first start Klout, you won’t have any networks connected. You can see right as of today, my Klout score is 73. The higher your Klout score the higher the number. What you want to do is you want to associate as many of your networks as you can with Klout. Klout’s measuring my influence across these platforms. 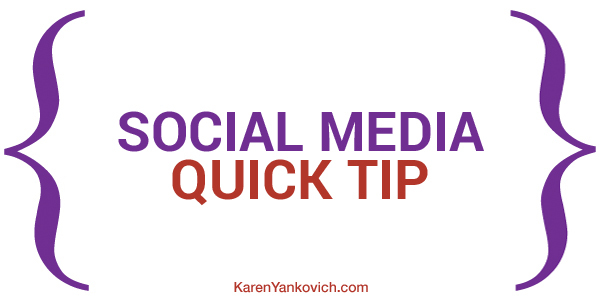 You can see if your Klout score’s growing, if your social media efforts are paying off, if you’re reaching a bigger audience. That’s one reason I like to pay attention to my Klout score. What I really love about Klout is the ability to see what your influence has been over the year. It shows you what your recent activity is and what the impact of that activity has on your Klout score. You can see what networks are contributing to your Klout as well. The Explore area in Klout shows all kinds of things they recommend based on things that you’re interested in, might be interesting to your audience. And you can share those recommended stories right from Klout. This is a great way to curate content to send it out to your audience. You can also schedule this and Klout tells me here are the most impactful times for your audience on Twitter. You may be using some scheduling tools, I do, but in addition to the scheduling tools, you really want to start to share some timely content, stuff that’s happening in the news. Klout curates this for you and gives you the ability and tells you the best time to share. My clients often say, “How the heck did you find this stuff?” This is how I find it.